The Transmission Company of Nigeria (TCN) has inaugurated two new transformers at the Suleja Transmission Substation in Niger State. The 60 MVA, 132/33 kV power transformers were supplied and installed by contractors Messrs MBH power limited, who initially won the contract in 2016. 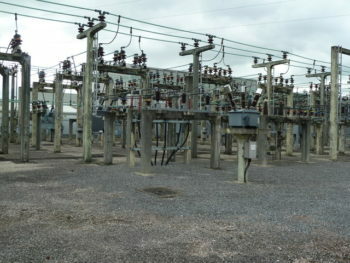 The 132/33kV Suleja Substation was initially commissioned in 1982 with a capacity of 2X75MVA, 132/11kV (OMW) and receives electricity from Shiroro Power Generating Station at 132kV DC transmission line. It was later upgraded with 1x 45MVA,132/33kV comprising 36MW plus 1X30MVA 132/33kV made up of 24MW, bringing the capacity of the station to 66MW. According to Mr Usman Mohammed, The Managing Director of TCN, the Federal Government had received a credit of 10 million dollars from the International Development Association (IDA) of the World Bank. Mohammed said the fund was additional finance towards the realisation of the Nigeria Electricity and Gas Improvement Project (NEGIP).